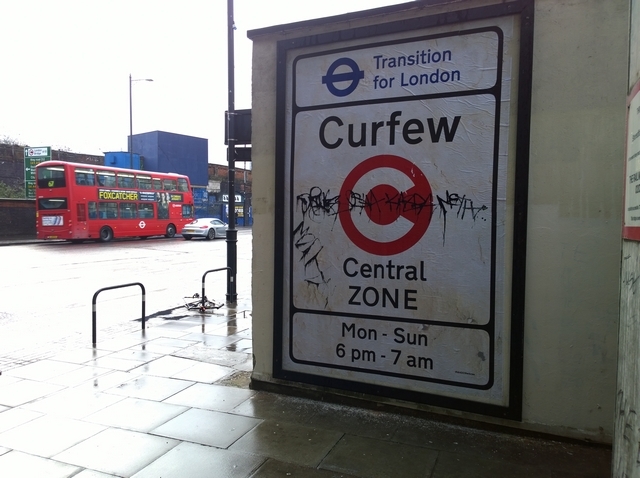 Street art is nothing without an element of subversion. 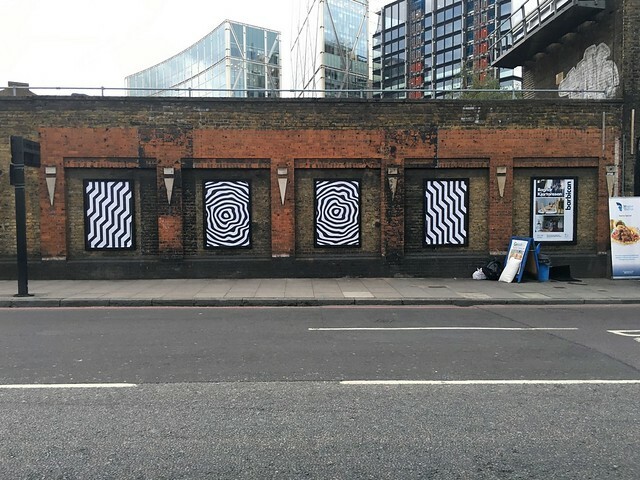 All street artists doing permission murals or safe pasteups in highly tolerant art zones should be grateful to the proponents of illegal, subversive street art who boldly risk everything to lend street art its veneer of edgy coolness. 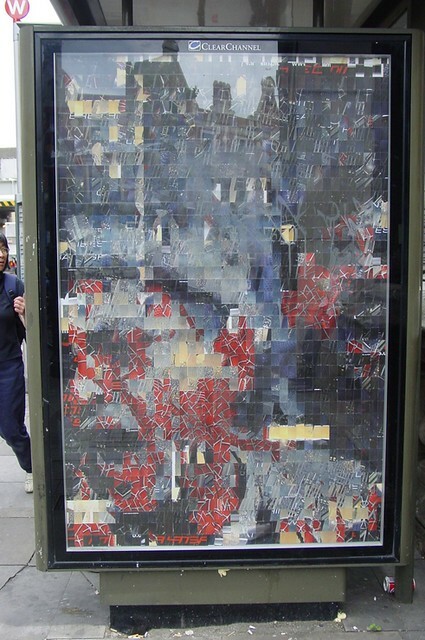 In the early days of street art an anti advertising posture was the default mantra trotted out as the justification for damaging public property with visual media. 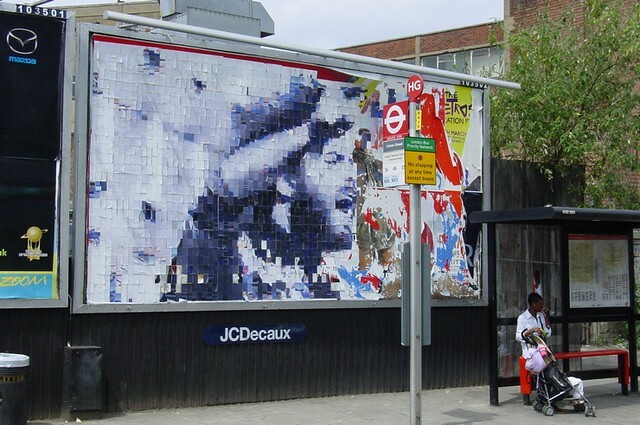 Billboard media was often the host surface to which parasitic street art images adhered, they didn’t ask your permission for their adverts, why should you ask theirs for use of their canvas for your art? 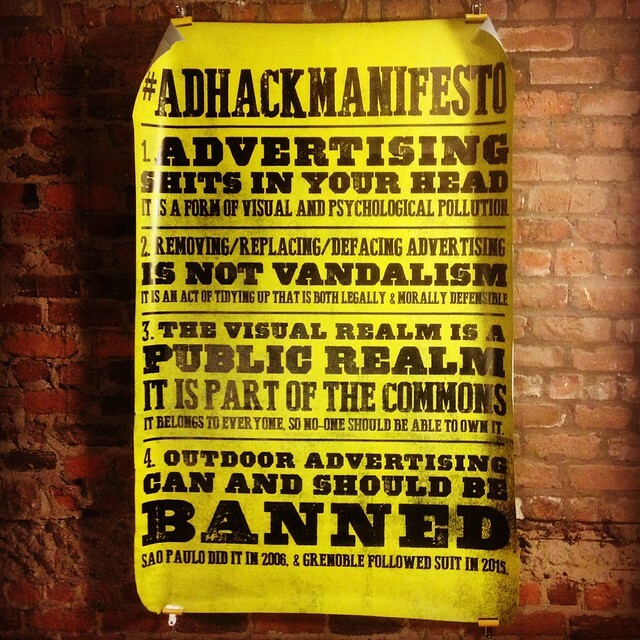 Pushing back against advertisers’ use of OUR public common realm to coerce desire and demand when otherwise none would occur were crack ad space hijackers like D*Face, the Cut Up Collective, Zevs, Poster Boy and more recently Mobstr and Hogre. 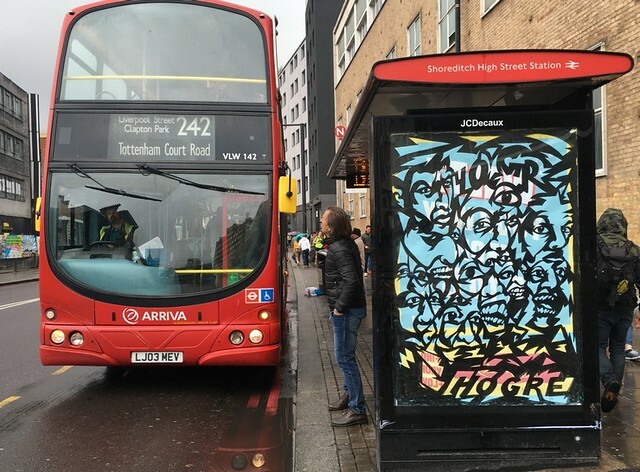 Was there a point to this new ad busting campaign? 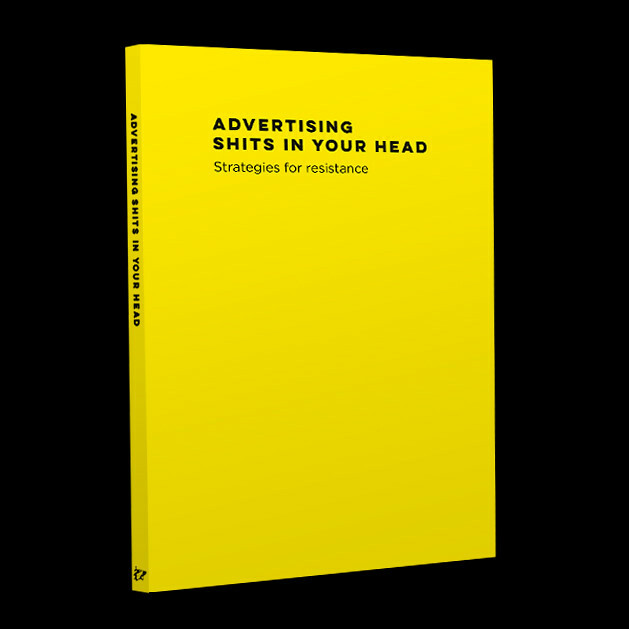 Well, anarchy takes a lot of organising so to help get your ad hacking shenanigans structured and effective, Dog Section Press is publishing “Advertising Shits In Your Head (Strategies For Resistance) and a crowdfunding campaign has been set up to cover printing costs. Personally I fancy the book and the teeshirt. 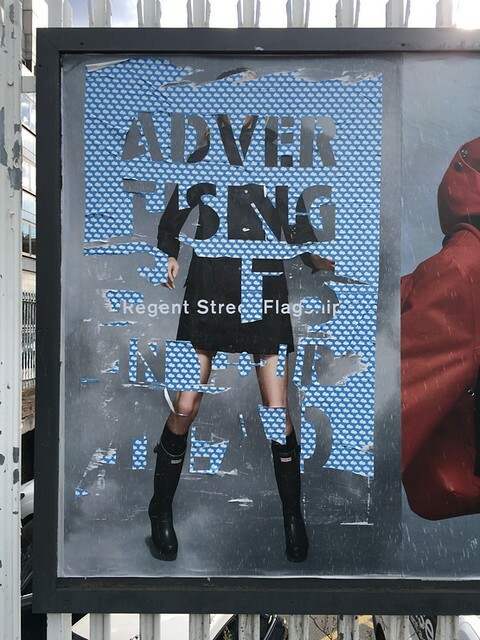 Today issues such as is there such a thing as good advertising or bad advertising or is there too much advertising or where should advertising go is the subject of much commercial, municipal and academic debate. 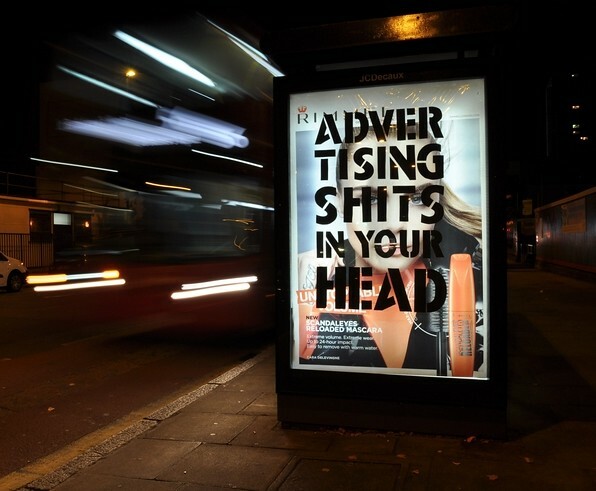 Meanwhile, advertisers advertise and street artists resist and street artists everywhere owe a debt of gratitude to advert hijackers, Advertising Shits In Your Head will explain why it is important we have people willing to stand up to advertisers and how it could be done.